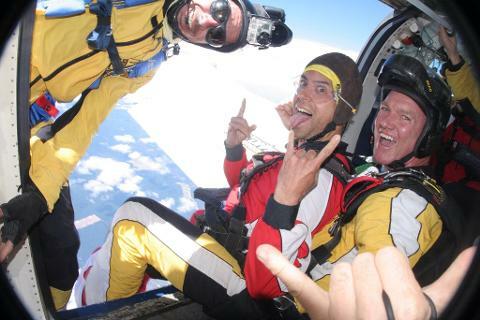 Looking to jump from 15,000ft? you beast! 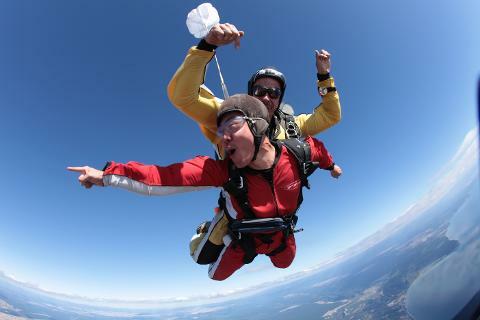 Jump with Taupo Tandem Skydiving, New Zealand’s top rated skydive on TripAdvisor. We work hard to give the best possible experience for each and every customer that comes through and you are no different! If your preferred time slot says 'Sold Out' please phone 0800 826 336 as we may have additional seats available. Your skydive begins with a scenic plane ride up to 15,000ft. You’ll begin to get incredible views of Lake Taupo, Mount Ruapehu and Mount Ngauruhoe – also known as Mount Doom from Lord of the Rings. Once you’ve reached altitude, the doors will open, you’ll sit on the edge of the plane with your tandem master seated behind you. If it hasn’t already, the excitement have well and truly kicked in by now! Get ready...it’s time to jump! 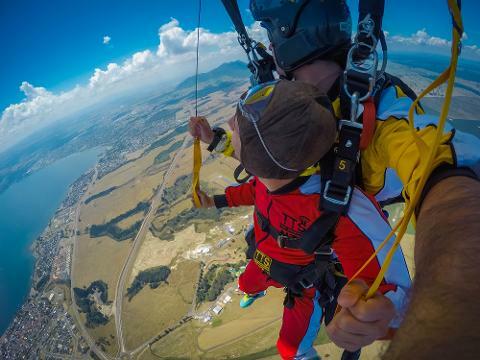 As you plunge from the plane into the fresh air, you’ll experience the best adrenaline rush of your life! 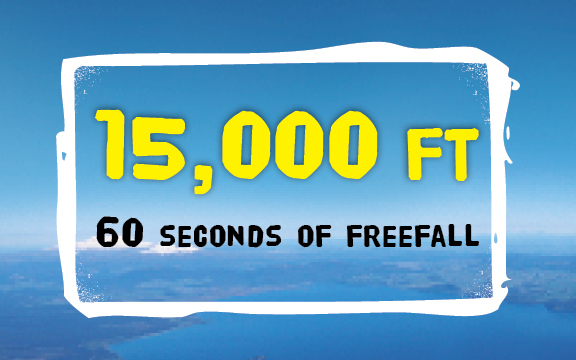 Reaching speeds of up to 200km per hour, the thrill of freefall is something you’ll never forget. After an insane 60 seconds of freefall, you’ll then float back to earth with a relaxing parachute ride with your tandem master, arriving safe and soundly back at the drop zone. You’ll be buzzing long after your feet touch the ground. Operating since 1992, we’ve skydived over 200,000 tandems. 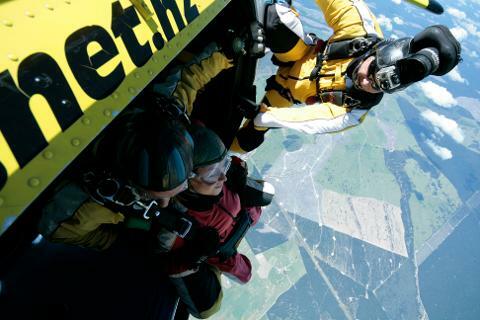 We have the best priced skydives in New Zealand and some of the most epic views. 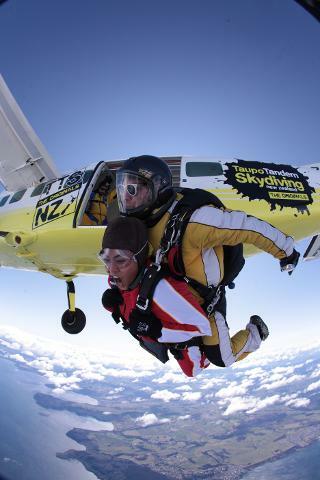 We’re the go-to skydiving operation in New Zealand, just ask TripAdvisor! 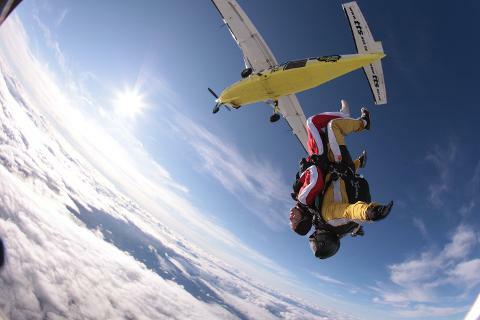 We’re proud to say we are the #1 Outdoor Activity in Taupo and the Top Rated skydive in New Zealand. As a Qualmark endorsed activity, your safety is our #1 priority! As a solid team full of awesomeness, your excitement and enjoyment is also our number #1 priority!!! Based at Great Lake Taupo, the largest lake in the Southern Hemisphere, the views are unbeatable. Come and experience the adventure with TTS!